More of me than you ever wanted. Rob learns what it's like under the microscope. 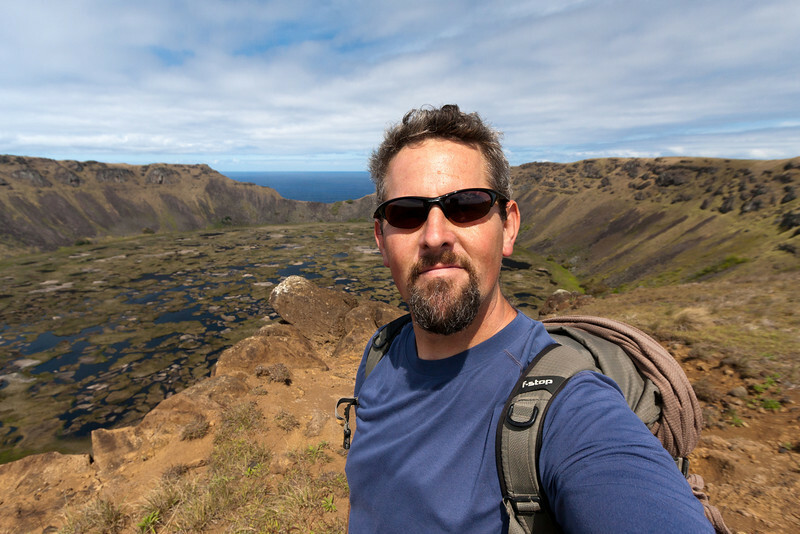 Self-portrait at Rano Kau crater. Hikin' around up in the mountains. 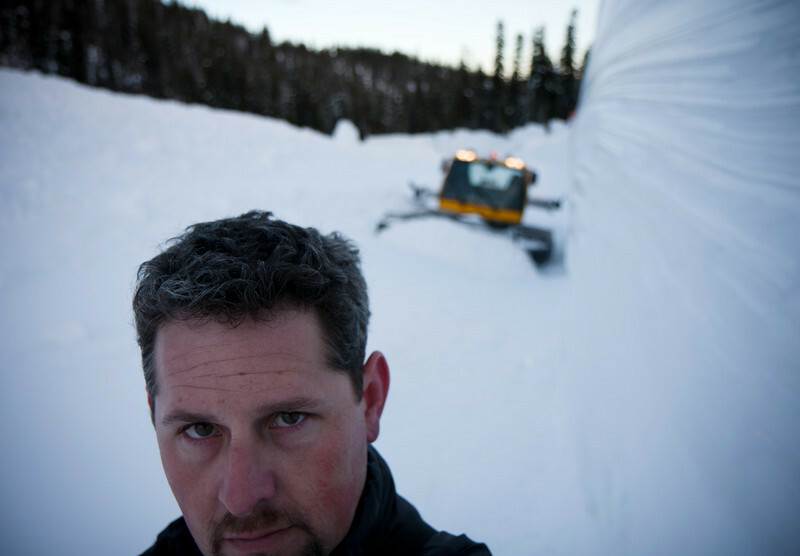 A self-portrait of moi amongst the deposition piles and 25' ice cut-walls the day following the massive avalanche which devastated The Canyon. 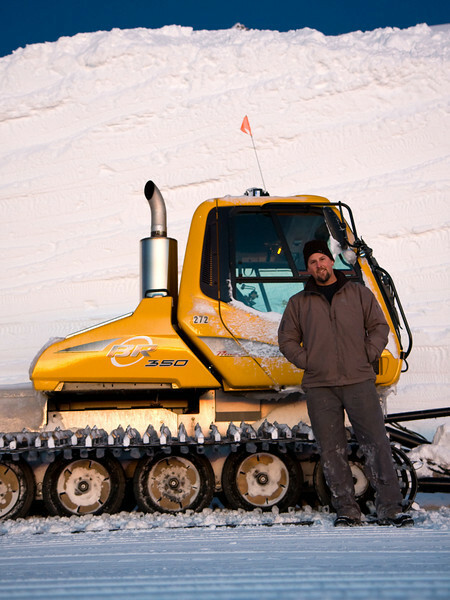 Me, my snowcat and the 18' high cut wall I'd just made as part of a project at work. 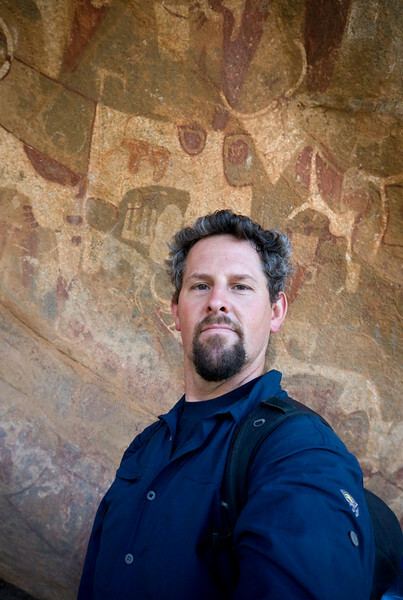 Self-portrait with the rock art of Las Geel. 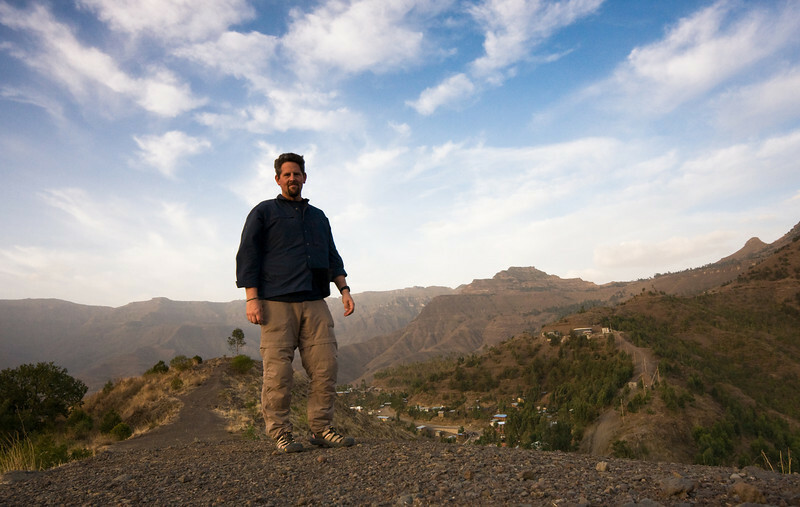 With the camera sitting on the ground, I strike a pose atop a hill above town in the late afternoon light. 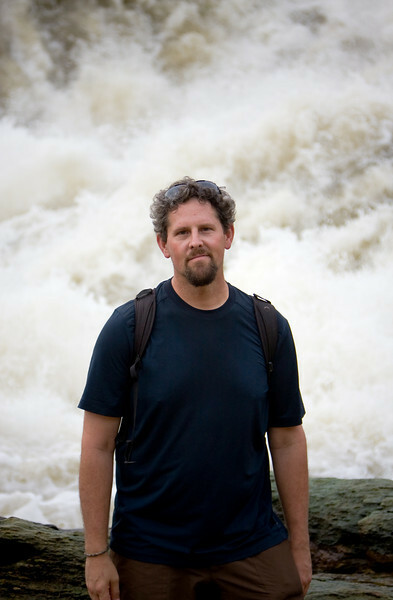 The raging whitewater of the Nile river as it enters the 7 meter-wide gap of Murchison Falls makes a fine background for my ugly mug. 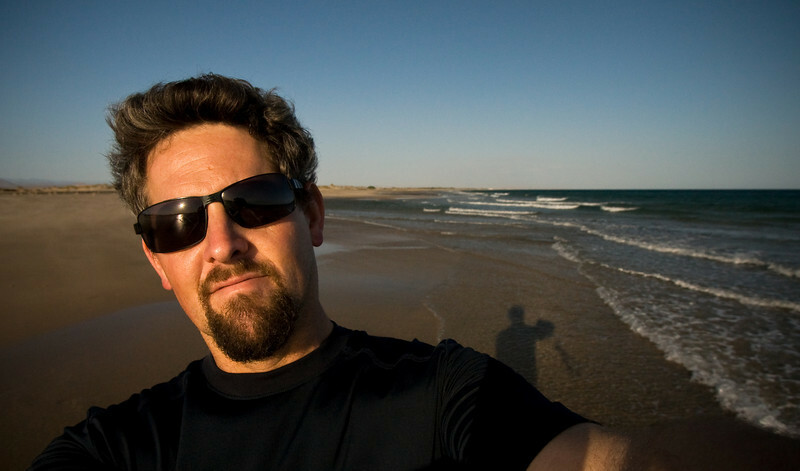 A late afternoon self-portrait of me on the Gulf of Aden coast just outside of town. 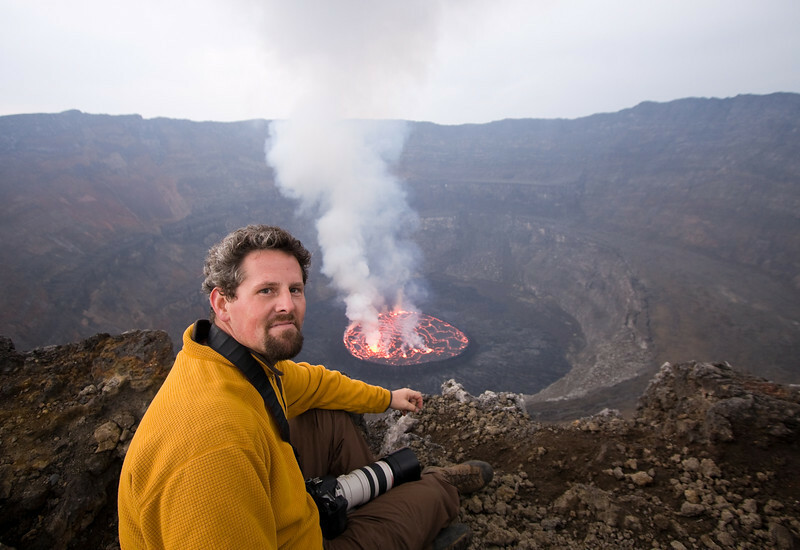 Located just outside of the western Congolese city of Goma, the Nyiragongo volcano contains one of the few permanent lava lakes on the planet (Wikipedia lists but 5). 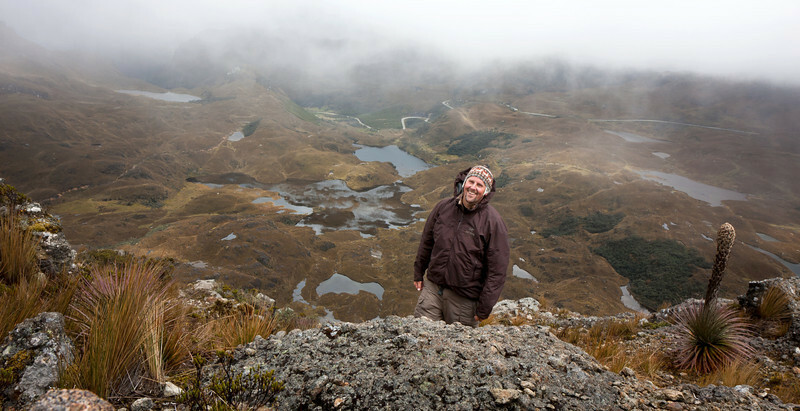 Despite the precarious political situation in the DRC, a visit here isn't that difficult with a reasonably well developed visa- and permitting-process in place for visiting the country and the volcano, respectively and a fairly steep but manageable 6 hour hike from the park headquarters to the summit. Here, I sit on the rim overlooking the circular convecting pool below me. As expected, it was a fantastic sight to behold. 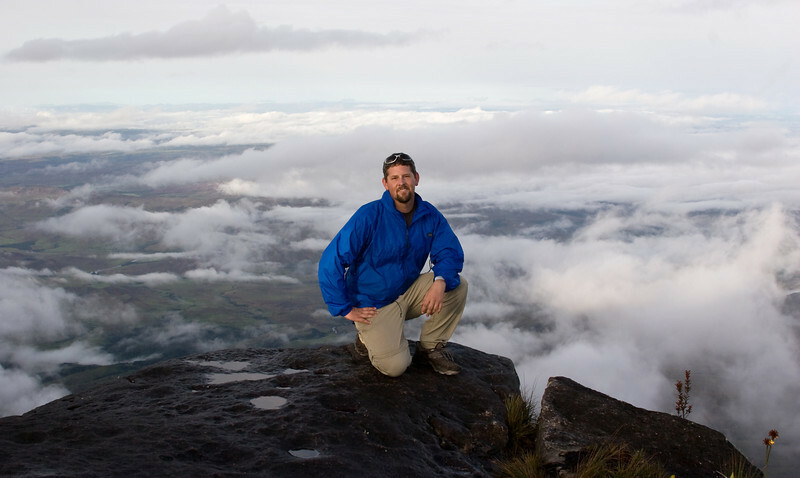 Though tepui summits are pretty damp places, that isn't to say the sun (and rainbows!) never come out. 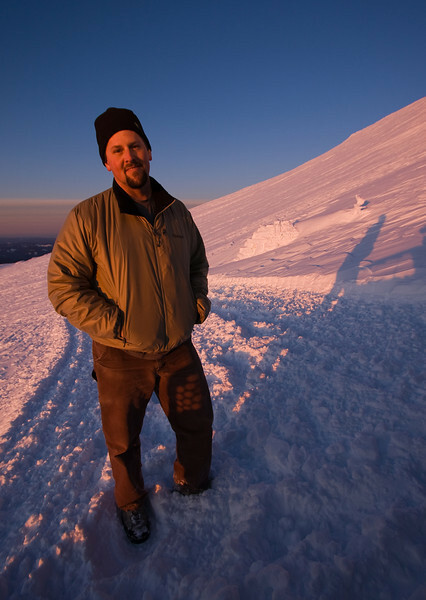 Me, taking a break at work on a calm, mid-winter day at the top of Meadows' permit area in the morning alpenglow. This is the first posted picture I've taken using my flexible-legged Gorilla-pod, which I clamped to my cat's blade. Pretty cool. 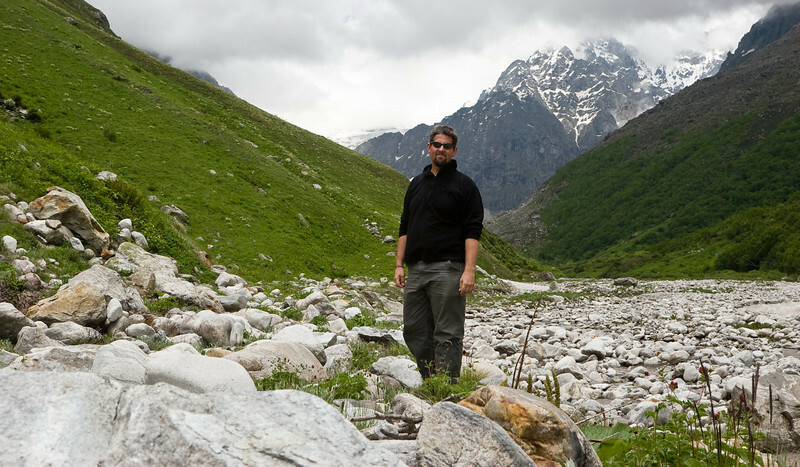 Me, at the upper end of the valley not far from where the alpine and glaciated regions began. 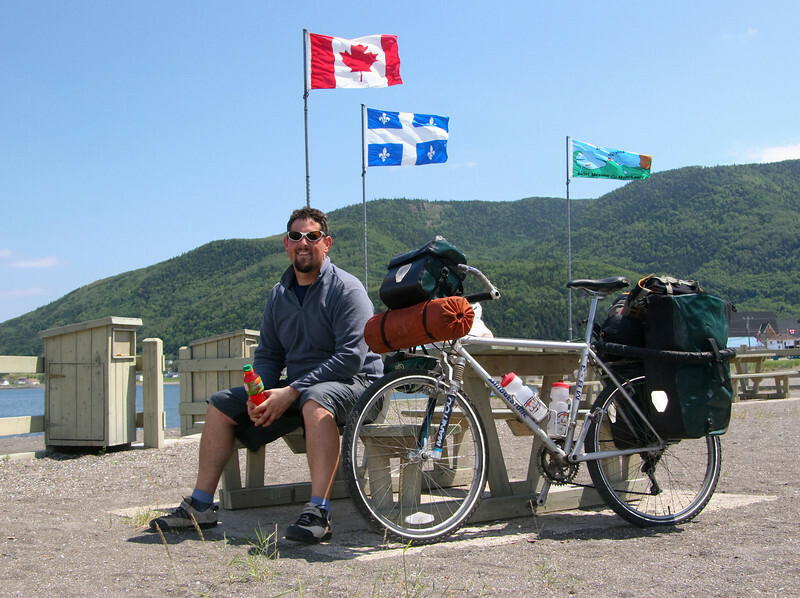 Though desire was there to continue onwards, no gear, provisioning, support or permissions would have went with me. I didn't proceed. The mountains in the background lay, I do believe, in the Nanda Devi National Park where peaks were in the 6200 meter (20,000ft) and up range. Tired legs, a sunny clear day and an empty park bench all came together beautifully this afternoon. 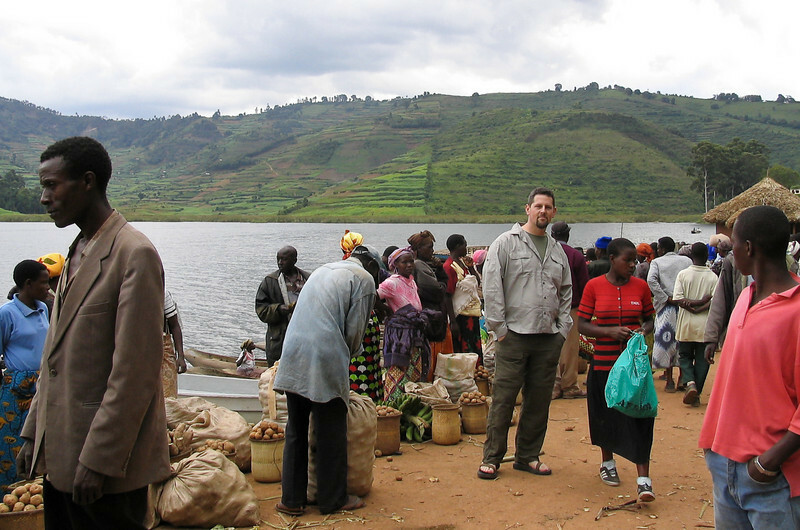 Me, taking a moment to pose in the 'grocery aisle' of the local market. 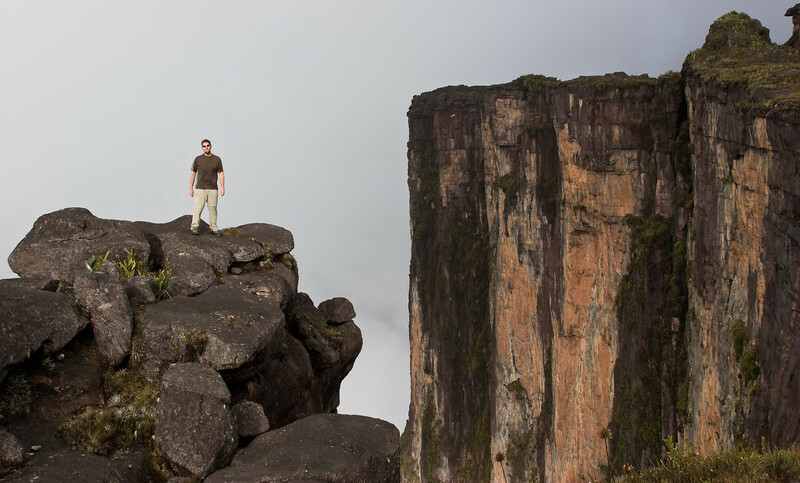 The tepui of Venezuela and Guyana contain some of the tallest cliffs on the planet, some up to 1000 meters (3200 feet) high. You're only seeing about 2/3rds of the full cliff in this photo. They're really quite astonishing. And scary. Here, I pose near the edge of one. 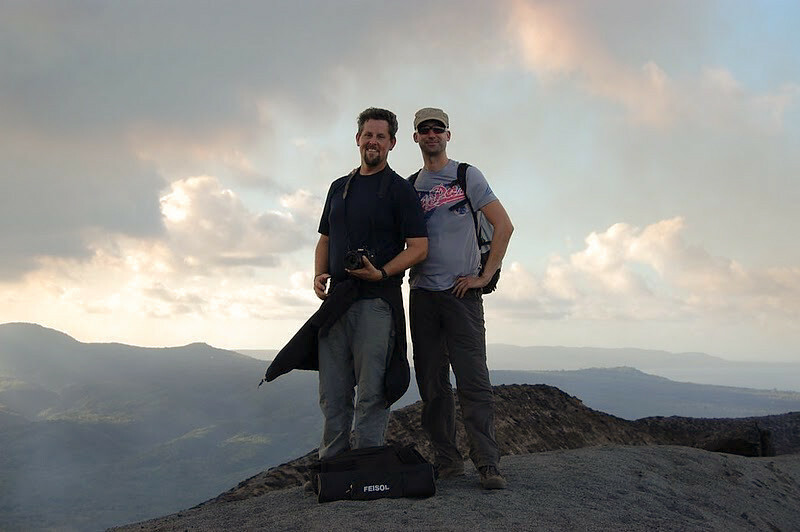 Myself and my friend, Peter Dreischhoff on the volcano rim. 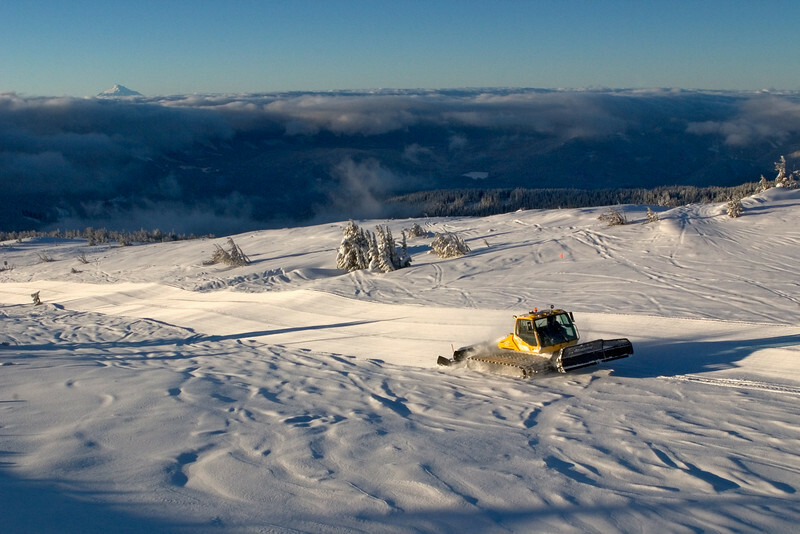 A photo of me, grooming along in a snowcat, making corduroy passes on a lovely morning. Me, kneeling on the edge of a 2000+ foot sheer cliff. I'm kneeling rather than standing, 'cause...well...it's a 2000+ foot sheer cliff. 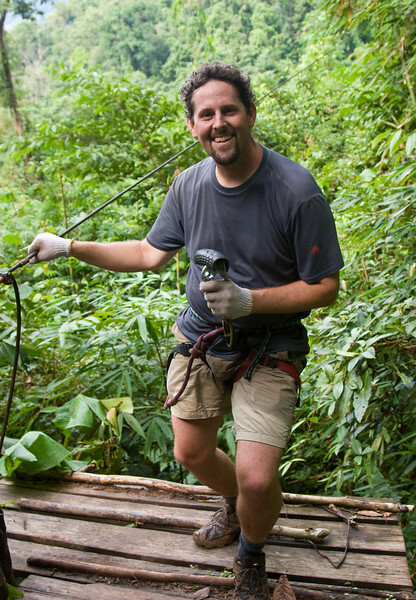 Me, harnessed up on a landing platfrom, having just unclipped myself from the cable after zipping down from our treehouse. 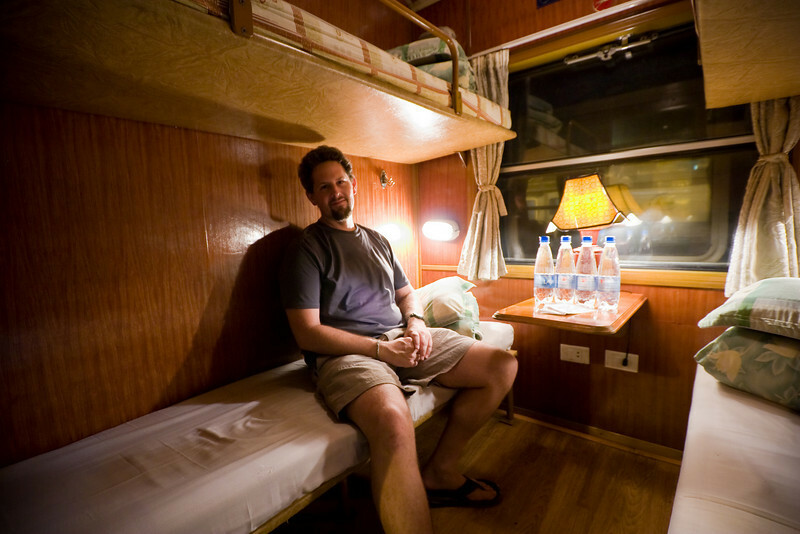 Me, getting settled in for an overnight train trip from Hanoi to Lao Cai (the railhead for Sapa). 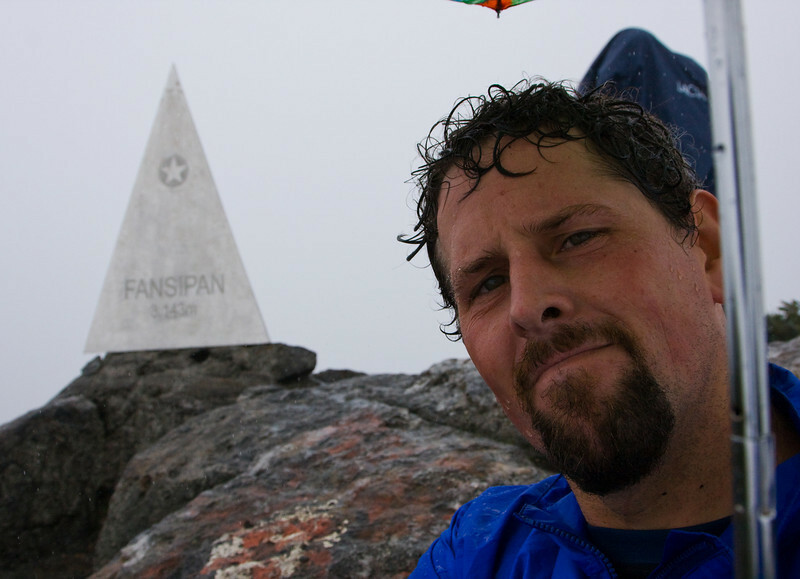 At 3143 meters, Mt, Fansipan is the highest point in Vietnam. This is on the summit. Though not by choice so much, I ascended by a lesser-taken route that was actually longer and steeper than the more-normal trail. It was a pretty grueling climb using jungle roots as ladders and, later powering along eroded hiking paths-turned-rivers and though ankle-deep mud. But like all great adventures, the pain and discomfort were forgotten when it was all said and done. It was a worthwhile three days. As for the photo, I don't think I much succeed in looking relaxed and natural while posing, soaked to the bone in the rain, holding an umbrella in a wasted attempt to stay dry while pointing the camera back towards myself, trying to both keep it dry AND compose an artistic photo. 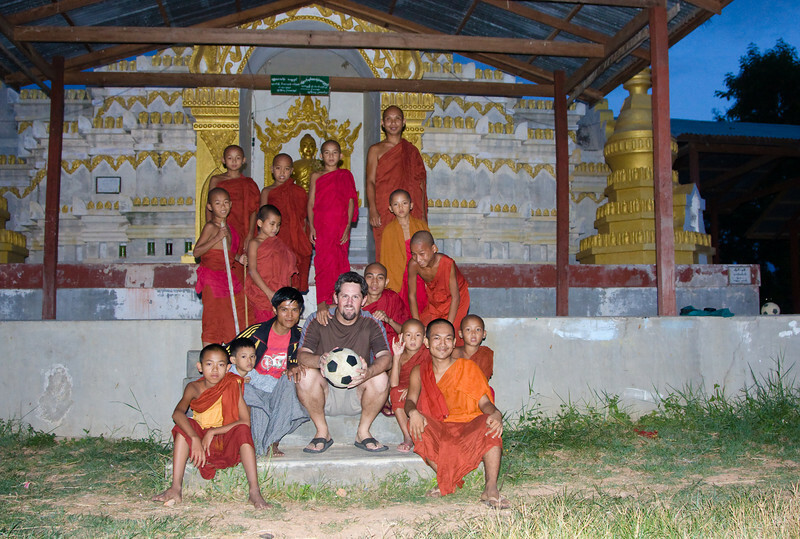 Posing with local monks in their monastery after an agro game of football. The rusty and rickety watch tower atop the hill was the 1.5km-away goal of my hike. Ordinarily, in a more temperate clime, I probably wouldn't have even broke a sweat on a walk of that length. In the humidity of coastal Vietnam, however I dehydrated and sweated like a stuck pig. Thankfully, the 70-or-so-foot-tall tower caught a slight breeze, which made the whole thing tolerable. 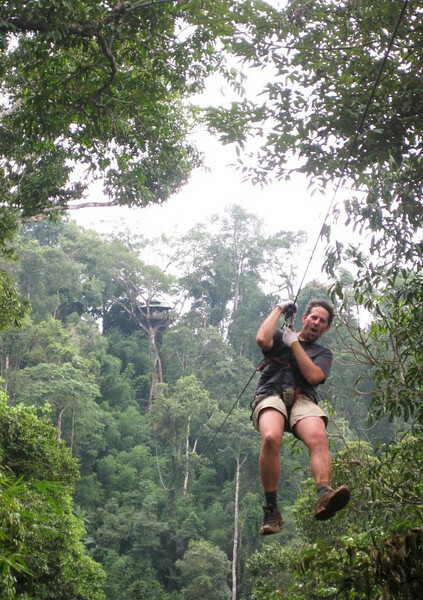 The zip-lines at The Gibbon Experience - long, high, fast, 'adult'-style zip-lines - are astonishing. Here, a fellow 'zipper' shot me coming in for a landing at the 'hub' tree with his cheap point-and-shooter, about 150' above the ground where several lines came together. Sunday morning and it was already pretty clammy out. 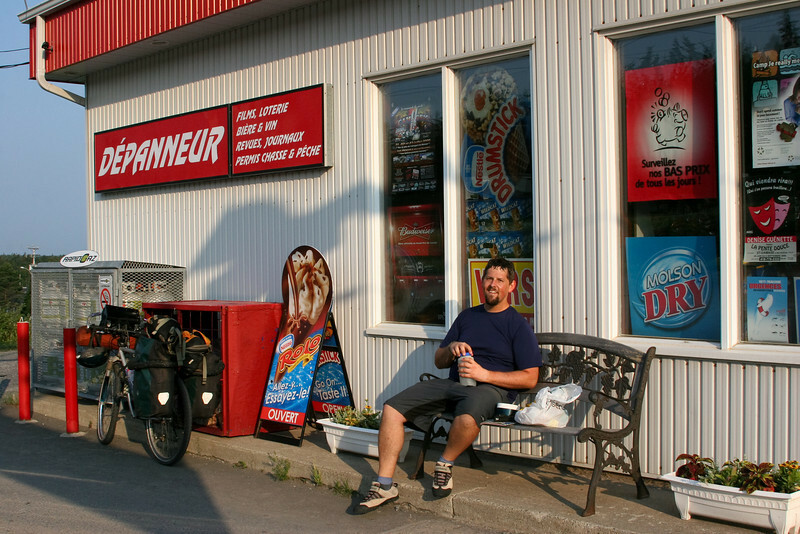 The store was closed, but I found it a fine place to have breakfast nonetheless. 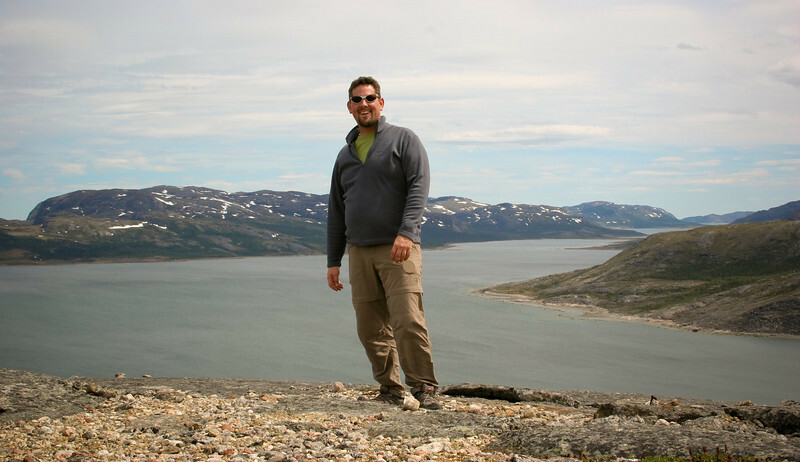 Me and my bulging gut atop a hill just outside and above town. The ferry was only docked for about 3hrs here, so I didn't have much time to explore - hiking up this hill was about as far as I got. 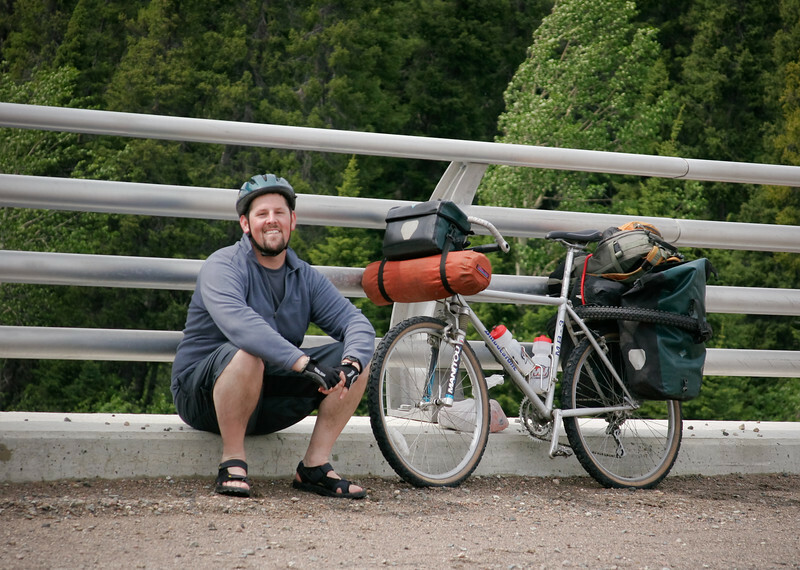 Taking a break on a bridge somewhere in the first, northern quarter of the 415km long gravel Cartwright-Blanc Sablon road. Though I'm definitely not a climber or mountaineer, I have traipsed around on glaciers a fair bit in my life and do have basic knowledge about what's going on on them. As I was feeling peppy and surefooted this day, I relied on this knowledge to not get into trouble. Still, and in hindsight, it probably wasn't the smartest thing to have hiked up as far as I did on the glacier without a buddy or any ropes or other safety gear. 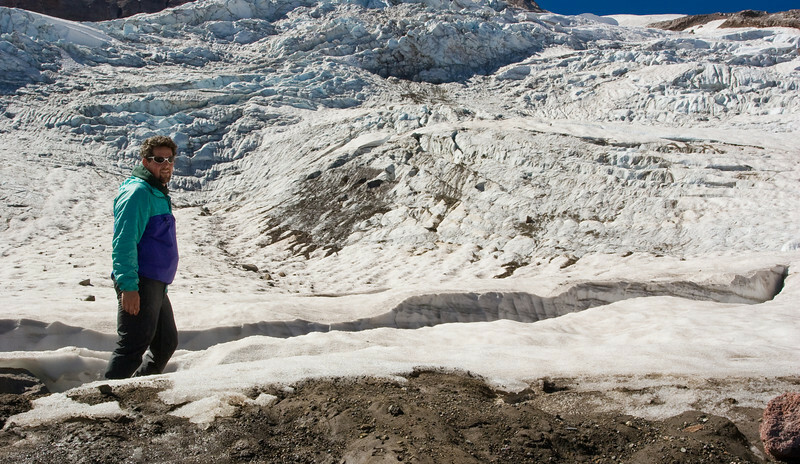 Where I'm standing in this shot is amongst 100+ foot deep crevasses. Most were open and visible but some definitely were not. This is the part of the glacier where folks go to ice climb in the summer. In fact, there were two guys about 40 yards behind me doing just that. I tried to wander over and watch them, but they were climbing in an area where the crevasses were just a bit too big and wide and scary for me. I had to say enough was enough and back off. The Aquarius Inn is the #1 budget place (or, perhaps just place) to stay in Nyaungshwe for a number of reasons. 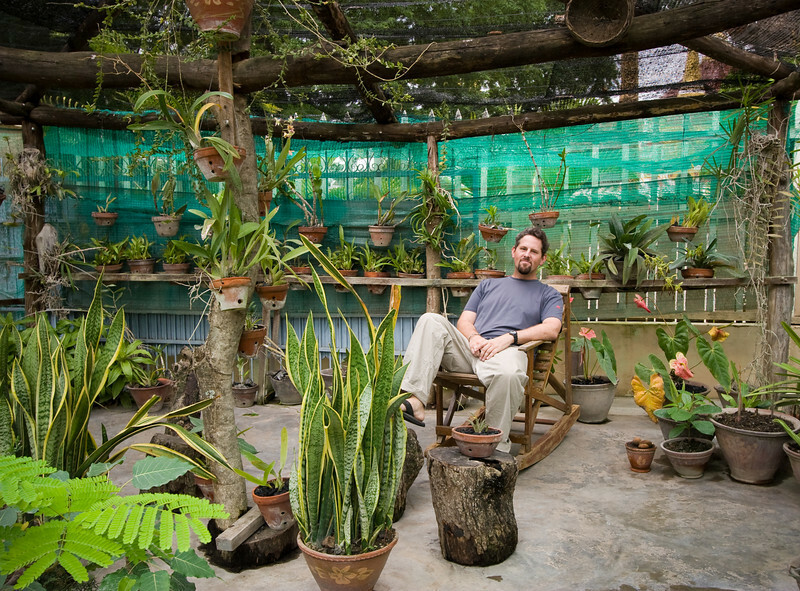 The owner's excellent little orchid garden was one. I spent a fair bit of time while at the guesthouse there shooting flowers and chasing butterflies. 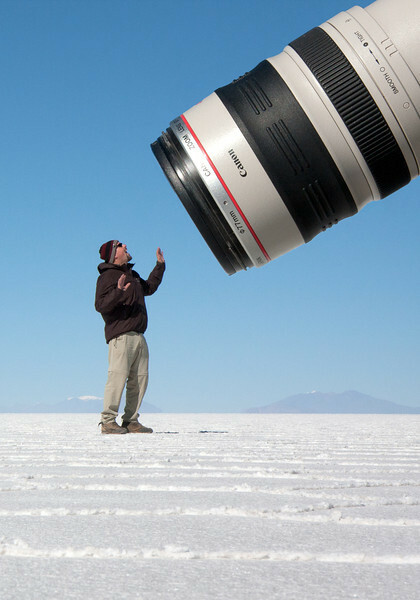 Good times for a photography geek. Here, I'm sitting a spell (just before checking out, actually) in the covered part of the garden. A restful place, for sure. 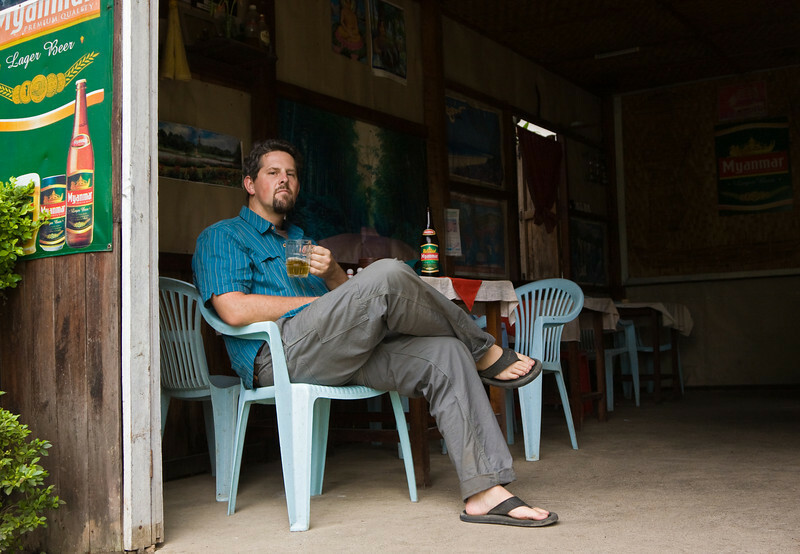 Me, posing with a beer in a lightly-patronized (read: empty) eatery. Myanmar-brand beer is the government-owned tipple. Though okay tasting, most people (myself included) tried to steer clear as often as possible and go with the other brands as to not give the government anymore money than was absolutely necessary. However, most places carried but a single brand of beer. As the posters on the walls attested to, this place had but the one kind. I went with it. 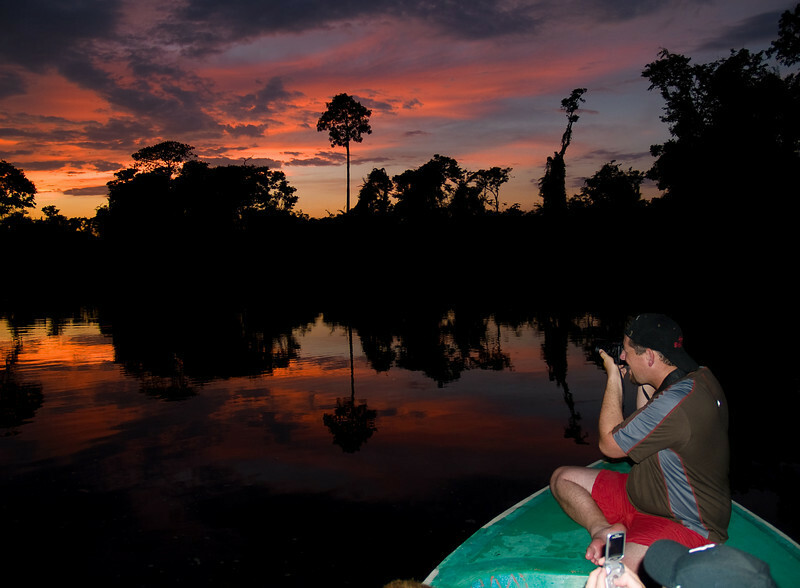 Me on the bow of a boat shooting the nice sunset.